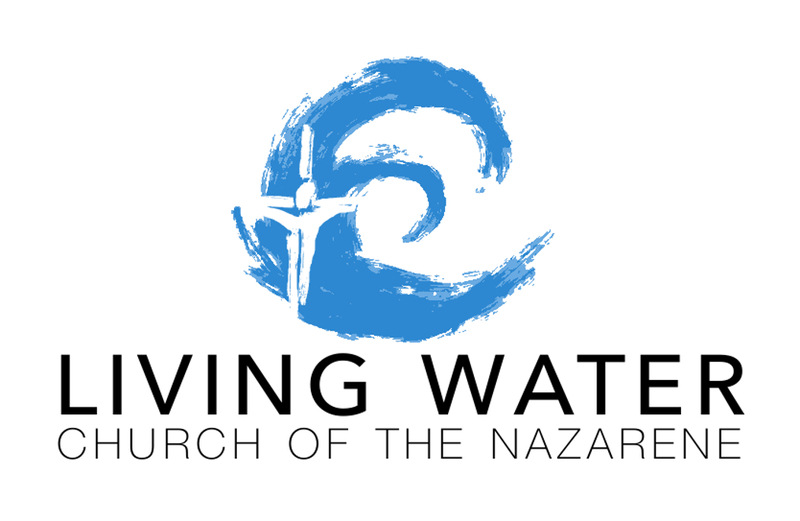 Greetings from Living Water Church of the Nazarene! We want to keep you (our friends and supporters) updated about what is going on at Living Water. God’s good work is continuing in East Village! Justina Del Duca, one of the women who has been part of Living Water since the beginning, has decided to put together an internship with us. She was part of the church plant team, but she had been planning to leave San Diego for a YWAM program in August. She felt led by the Spirit to stay in San Diego and continue her work in this church, so instead she has jumped into a more formal role with us. She has already been deeply involved in the life and work of the church, and she will continue what she was doing before and begin working on new projects such as a starting a Bible Study in a local living facility, organizing a regular women’s breakfast, helping us create some creative prayer modalities, working on the atmosphere of our worship space, and many other things. In addition to the internship, Justina is exploring a potential call to ministry, and she has asked the church board at Southeast Church of the Nazarene (our mother church) to grant her a local minister’s license (the board voted to grant her the license last night!). It is evident to our community at Living Water that God has plans to use Justina to bless others throughout her life, and we are grateful to have her exploring her calling and working with us! I don’t have to tell you how quickly the holidays come upon us every year. In our context, the holidays are difficult times for many people, so we have decided that we want to have the doors open so that people have a place to go to be with their church family. We are planning to host a day of events and a Thanksgiving dinner on Thanksgiving Day. We are still in the organizational phase, and this will be a bit experimental for us. There are many, many people in our area that have nowhere to go, and we frankly don’t know who might show up to eat and hang out with us. We want to invite you to help us with this, if you are local and available on Thanksgiving Day. If you, your church, or your small group would be interested in helping us provide food and/or company for folks in East Village on Thanksgiving Day, please get in touch with me sooner than later. We are confident that we can provide a meal and a positive environment for the folks who have already been part of our church, but how ambitious we get about serving the wider community will depend on how much extra help we have. This is a great way to participate in the work of God at Living Water! Just days after Thanksgiving, Advent will be upon us, and we are excited to be inviting our mother church, Southeast Church of the Nazarene, to join us for our service on the first Sunday in Advent (11/27). We aren’t sure how we are going to fit everybody in the building, but we anticipate a wonderful evening of combined worship as we prepare ourselves to welcome the Savior. We continue to have great participation in the life of the church by the folks that God has called together for worship and discipleship. Our volunteer schedules for cooking and childcare have been filled weeks in advance, with the majority of our volunteers coming from outside of the church plant team. It is getting easier and easier to get cleaned up and set up for services as more folks have been coming early and pitching in. Our small groups continue to draw people deeper into a life of discipleship. People are sharing their experiences and themselves with one another during our group times, getting to know one another deeply. Our Sunday evening worship services have been well-attended, and the work of the Spirit is evident in our prayers, readings, music, sermons, sacraments, and times of fellowship (you can find our sermons on iTunes, now, if you’d like). Many of our folks have been spending more and more time at our church building throughout the week, supporting and encouraging one another, eating together, and advising one another. We hear stories of groups of friends who met at church going through service lines together and standing up for the most vulnerable among us when they are threatened, misinformed, or sometimes even accosted. One of our men went to a homelessness town hall meeting and made connections with some fairly important folks who are working on new directions for San Diego’s effort to address homelessness, and we are hopeful that those connections will prove fruitful as we try to participate in community-wide conversations about improving services and results. We have a choir that has been meeting in our space, primarily open to people who are experiencing homelessness. As I sit and write, KPBS is filming their practice to air as a special on “Evening Edition” on TV and Radio in a couple of weeks (we’ll put the link on our website when it comes out). They will have their first gig on December 4th in Barrio Logan. Keep an eye out for this choir – there are some extremely talented musicians organizing this, and we think good things are going to be happening with the choir! As you can see, there are many good things happening in our congregation. And there is also a lot of work to be done. If you want to join us or send food on Thanksgiving Day, email me at chris@livingwaternazarene.com, and remember that you can always contribute financially here. Please continue to pray for us, and please continue to send people in our direction if they are looking for a place to join in worship, community, and service. May the peace of our Lord be with you!